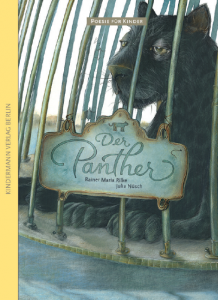 Rainer Maria Rilke tells in his famous poem about a locked-in panther that he saw in the Jardin des Plantes in Paris. He lends a voice to the graceful animal and introduces the reader into the emotional world of the black cat behind the bars: As if you were seeing the world through the eyes of the panther. The poem is considered to be the most famous “Dinggedicht“ (thing poem) of all time and is a literary pleasure for young and old alike! Combined with Julia Nüsch’s lovely pictures you will experience the verses as touching as never before.